Here's the Trailer for a Holiday-Themed Season of Nailed It! Honestly if I didn’t have so much Great British Baking Show to catch up on I would probably watch this? 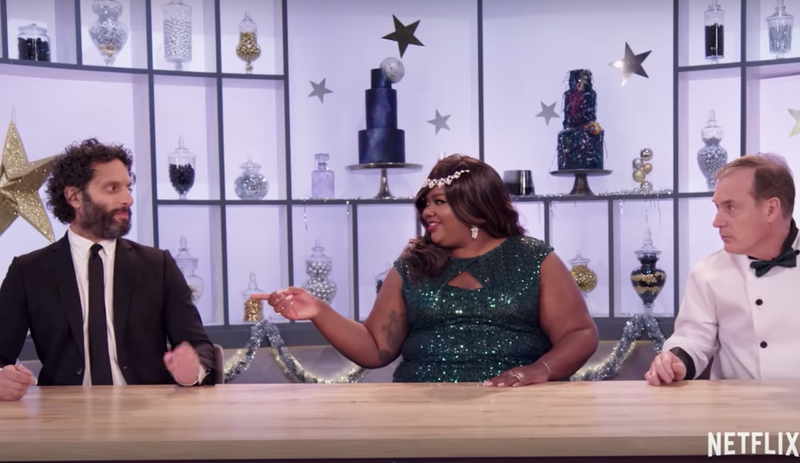 On Thursday, Netflix released the trailer for a six-episode holiday-themed season of comedic baking competition Nailed It!. The concept: three amateur bakers face off for the chance to win $10,000 while Nicole Byer and Jacques Torres critique them. Judging by the trailer, the critique is generally “we are laughing at you not with you.” But the Christmas music and cheerful dispositions does make it all less sinister! Eater reports that this season’s celebrity judges include Lauren Lapkus (Crashing), magician Justin Willman, Jason Mantzoukas, cake decorator Sylvia Weinstock, and comedian Ron Funches. All six episodes, enough to polish off an entire evening, air on Netflix December 7.